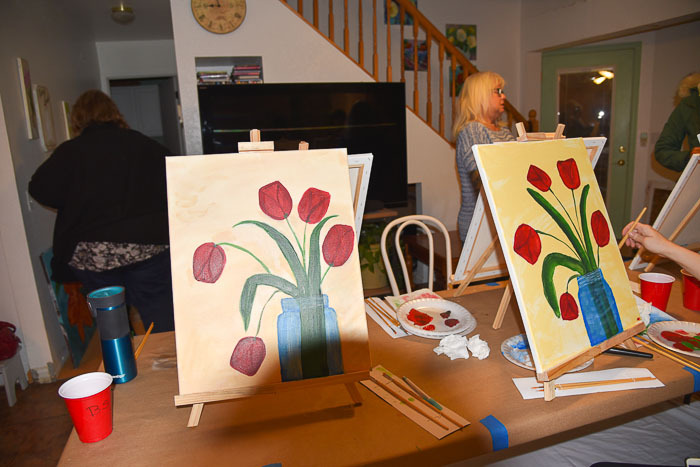 Just for fun and to enjoy what I love with friends I had a paint party. 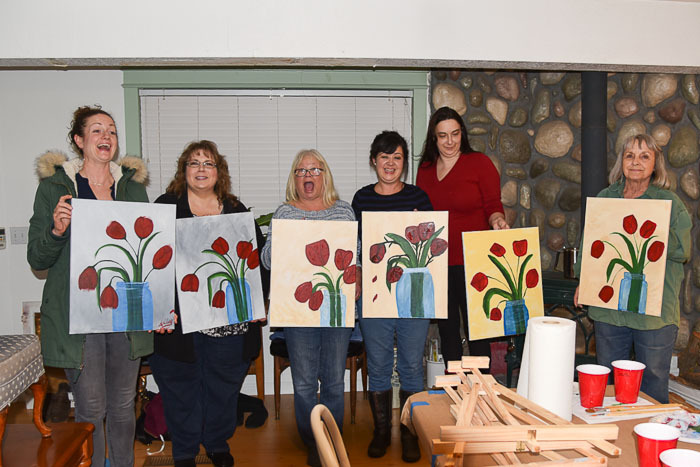 We laughed, ate and painted tulips in a mason jar. At least that is what we were supposed to be painting. 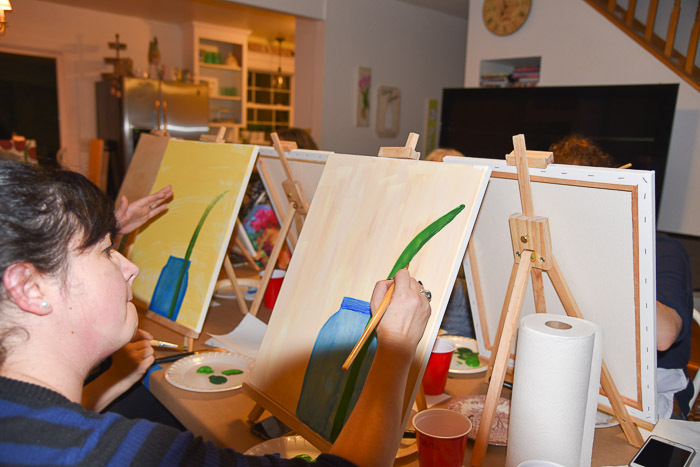 I held a Paint Party at my house for some friends who had expressed interest in painting with me. We wanted to make it a fun time for all so everyone brought finger food to share, some wine and an adventurous spirit. This was my own design I shared with them. 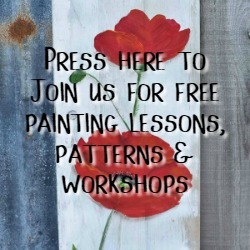 At the end of this post I have a link to the video on painting red tulips in a mason jar. My house is on the smaller side so I kept the head count low. My husband helped shove furniture to the side and set up a long folding table. 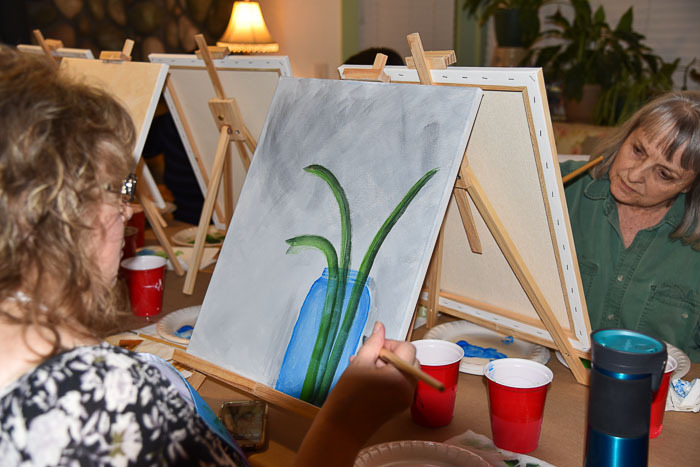 The lighting was not great but everyone seemed able to work on their masterpieces. 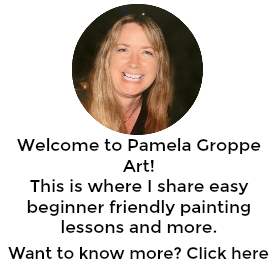 Ashley was smart and sat on the edge where her left handedness wouldn’t bump elbows with anyone else. I was happy everyone went with their own version of the design and was brave enough to step outside the box. I did keep reminding them that this was fun art, not fine art and to not sweat being perfect. It will all come together as you paint. 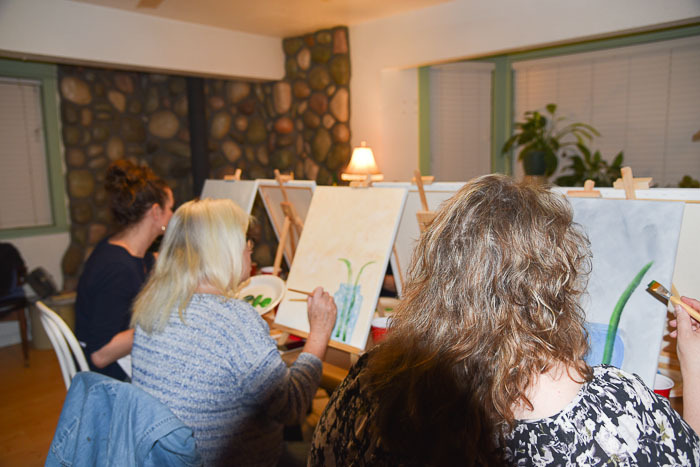 The point of these gatherings is not a paint lesson, it is to relax and have fun painting together. The end result of the painting does not matter, it is the laughter with friends that makes it worth while. And boy did we laugh…. and eat and sip along with painting. I think the paintings turned out rather well for first time painters though they were mighty critical of their own work. I guess we are all our own worst critics. But I know fun was had by all, just look at those faces! I had so much interest in this but only so much space that I will have to do it again. The pattern was my own design but I did let them choose a background color from a choice of 3. 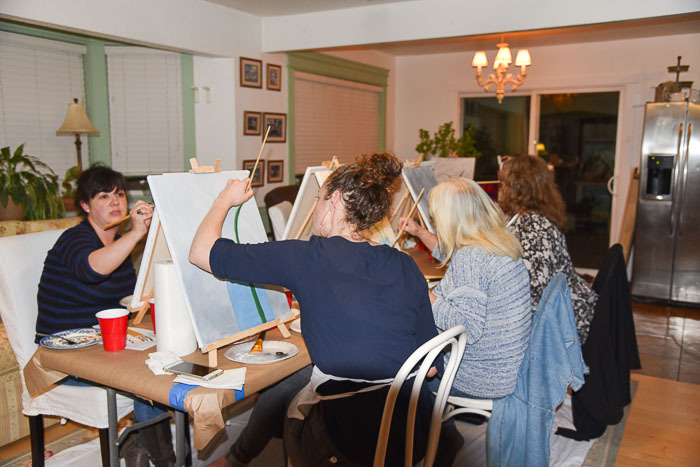 Have you ever done a painting party? Not yet, I will get that up soon. This looked like a lot of fun!